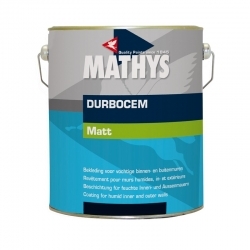 A waterproofing paint that is guaranteed to keep water out and contains a biocide that protects the dried coating against fungal degradation for a minimum of 5 years. This waterproof masonry paint can easily be applied to wet or dry surfaces creating a smooth, non-gritty finish. Zinsser Watertite is a solvent-based, mould and mildew-proof, internal and external waterproofing paint that is guaranteed to keep water out by sealing masonry, and to give a fantastic finish in commercial spaces and workplaces. 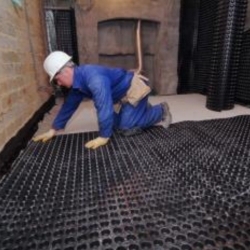 In-part, Watertite is designed for dank and damp cellars/basements, containing a biocide that protects the dried coating against fungal degradation for a minimum of 5 years. For ease of use and versatility, it can easily be applied to wet or dry surfaces in a range of light, pastel shades, to create a smooth, non-gritty finish. 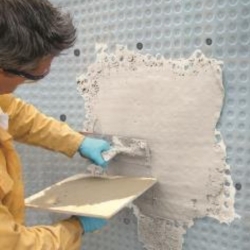 Watertite has a unique solvent-based formula that combines a state-of-the-art waterproofing resin with Portland cement to create a coating that stops up to 34psi of water pressure. It is ideal for rooms and surfaces where mould, damp and fungal degradation have been a problem; wine cellars; storage rooms in compartmentalised basement spaces; areas with minimal or poor ventilation. Unlike other waterproof coatings, Zinsser Watertite waterproofing paint can be applied directly to dry, damp or wet surfaces, allowing for water problems to be cured immediately with minimal preparation or surface drying-out requirements. It can also be recoated in just four hours, drying to a smooth, bright white, and non-yellowing finish that resists dirt and dust pick-up. Project and facility managers will benefit from using Zinsser Watertite in college, schools and educational facilities, where there are many storage rooms without ventilation, poor air circulation, and long-term requirements of storing paperwork, stationary and equipment on permanent shelving and units. Watertite can be tinted to most off-white or pastel colours, and has an ultra-low odour formula – lower than most standard emulsions. It adheres to any interior or exterior masonry surface, above and below grade, and is formulated to prevent recurring efflorescence on concrete and brickwork. Touch-dry in one hour and recoatable after 4 hours, surfaces must be free of any active leaks prior to the first coating. It is advised to apply Watertite to textured surfaces, and smooth surfaces may need to be abraded or blasted first, to create a surface profile. For more information about applying Zinsser Watertite, please refer to the manufacturer’s product datasheets, or alternately contact Rawlins Paints’ technical support team. 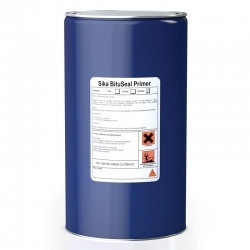 • Prevents fungal degradation on the paint film for 5 years – guaranteed! • Smooth, non-gritty finish applies easily to wet or dry walls. • Ideal for basements and other interior / exterior surfaces. • Ultra-low odour solvent-based formula. Please note: Errors and omissions excepted (E&OE). It is your responsibility to read all data sheets (available upon request) prior to application. The specification given above is our best recommendation from the information supplied and is given in good faith but without warranty. We recommend a trial area is coated to ensure the product meets your requirements. No, we would instead recommend our 402 Damp Proof Coating. If I use Watertite on on an internal wall can I emulsion over it later to match the colour of the other walls in the room. Zinsser Watertite produces a beautiful, bright white eggshell finish. If desired, it may be topcoated with any quality paint, but will nullify the mould and mildew protection portion of the Zinsser warranty. To maintain the warranty, instead use Zinsser Perma-White Interior which can be tinted to nearly any colour and is available in a Matt or Satin finish. Allow a minimum of 14 days before painting. The response provided to John (copied below for your reference) is our only offering for this issue. "Zinsser Cover Stain has been used in this situation to block the rust stains however there is no guarantee how long it will hold the stains back. As soon as any trace of moisture gets into the metal beading the rusting process will start again and stains are likely to bleed through once more. It would not be possible to say how long the primer would hold the staining back. Applying 2 coats of the Cover Stain will give a little more protection and hold back the staining for longer than 1 coat. The Cover Stain can be overcoated with a standard masonry type coating. Please note that the only 100% effective way to solve the problem would be to remove the affected angle beading and replace with new stainless steel or plastic beading." I have rust bleeding through the masonry coating on my house. The rust comes from the metal edging used by builders so I cannot simply get rid of the source of the problem. Can you recommend a product that will 'seal the surface' thus preventing further bleed. This product will need to be suitable for painting over in order to match the rest of the masonry. I have tried a number of sealants without success. Zinsser Cover Stain has been used in this situation to block the rust stains however there is no guarantee how long it will hold the stains back. As soon as any trace of moisture gets into the metal beading the rusting process will start again and stains are likely to bleed through once more. It would not be possible to say how long the primer would hold the staining back. Applying 2 coats of the Cover Stain will give a little more protection and hold back the staining for longer than 1 coat. The Cover Stain can be overcoated with a standard masonry type coating. Please note that the only 100% effective way to solve the problem would be to remove the affected angle beading and replace with new stainless steel or plastic beading. Zinsser Watertite is a cheaper option than tanking and should work in this situation. It needs a sound masonry surface to bond to, all the plaster must be removed back to the masonry substrate. Apply the Watertite directly to the render surface, no primers or stabilisers should be applied. Be sure to read the products Technical Data Sheet carefully and advise if you have any other questions. Zinsser Watertite works best when applied to bare masonry surfaces, for your application you may be better looking at Rust-Oleum Mathys Durbocem or Coo-Var Anti-Damp Paint. The source of your water ingress should be remedied ASAP. Zinsser Watertite should be OK for this job, this is the type of situation the product is used for. 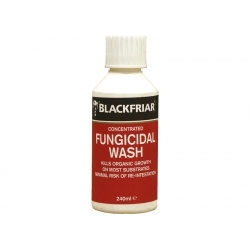 It can be applied to damp surfaces however these must be clean, sound and any previous paint coatings well adhered. Any gaps in the mortar joints where the water is leaking through will need to be patched up with render. Refer to the Technical Data Sheet and follow all the steps regarding preparation and application. Question: Can this paint be used over existing emulsion? I want to use it in the cellar, the plastered walls have already been painted. but damp is coming through in places. Provided any loose paint is scraped off, would this paint work? No, Zinsser Watertite should not be applied over existing coatings. 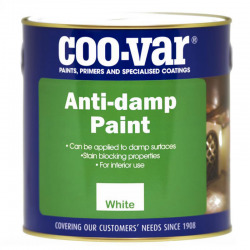 Instead see Coo-Var Anti-Damp Paint. Question: Can I use this product to paint over the tiles in my shower ?? No, you would need to use instead something like Rust-Oleum Tub & Tile Refinishing Kit. 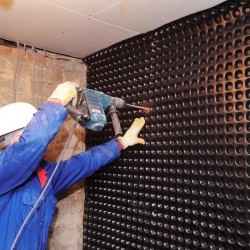 2 - 3 coats at 2m² per litre, per coat. Question: Would it be ok in a bathroom to paint Watertight over water resistant plasterboard, and ceiling, then tile over part of the board? Is the paint likely to affect tile adhesion? This is a fairly common question and the answer is Zinsser Watertite is definitely not recommended for this situation. 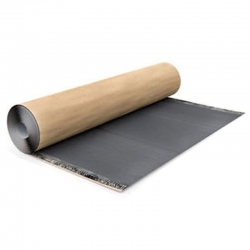 You should ask the supplier of the plasterboard if any special treatment is required before tiling over, but we would expect you can tile straight over the board. How many litres in a tin? This product is available in 5 litre or 10 litre tins. Can Zinsser Watertite be used indoors for damp proofing? Zinsser Watertite has a unique solvent based formula that combines a state-of-the-art waterproofing resin with Portland cement to create a coating that stops up to 34psi of water pressure. It can be used internally and externally on walls. Can we overpaint Zinsser Watertite? Zinsser Watertite can be mixed to most pastel shades and produces a smooth, eggshell finish. But, if desired, it may be over coated with most good quality paints, but this will nullify the mould and mildew protection portion of the Zinsser warranty. To maintain the warranty, use Zinsser Perma-White Interior or Zinsser Perma-White Exterior which can be mixed to almost any colour required in a variety of sheen levels. Whichever method is chosen, allow a minimum of 14 days before over-painting. 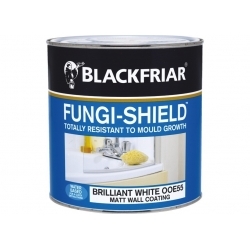 Blackfriar Fungi-Shield is a washable, biocidal paint for use against algae, mould and fungi. A problem solving coating for damp walls developed by Rust-Oleum. The paint is specially formulated to adhere and build a strong bond with the damp surface it is applied to, because it contains cement the moisture on the substrate actually helps the paint cure and become stronger coating. Rust-Oleum Dacfill Frigo is a gas & vapour tight coating for walls and ceilings, ideal for use in cold stores. Rust-Oleum Dacfill Frigo has high vapour and gas tightness with permanent high elasticity of up to 400%. It offers resistance against sudden variations in temperature and exhibits high mechanical strength. 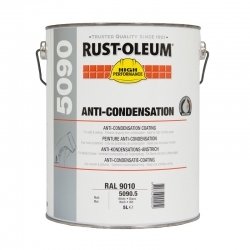 Rust-Oleum 5090 Anti-Condensation Paint is a water absorbing coating to be used on ceilings and the upper parts of walls, where steam or water vapour formation occurs, in order to prevent condensation and dripping. It is intended as a one coat, airless application, but a more textured finish can be obtained by applying 2-3 coats. 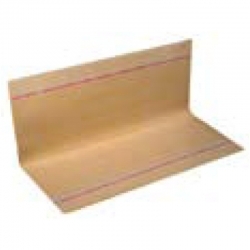 Sika Drain 850 Geo is a heavy duty drainage and protection sheet used as a protection and drainage sheet for preformed sheet membrane waterproofing systems, liquid applied membranes and with the Sika White Box concept for waterproofing retaining walls and heavy duty roofs/podiums. 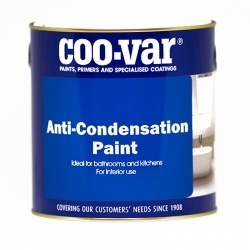 1901 Anti-Condensation Paint is a matt white paint that helps prevent the formation of condensation on walls and ceilings in rooms prone to airborne moisture such as bathrooms, wet rooms, communal shower/changing rooms and kitchens etc.